Why in the world should the Cardinals get rid of Carpenter? He’s been their best player the past couple of seasons and is penciled in to be the starting 1B this year. He’s also signed to a relatively team-friendly contract for the next couple (few?) seasons. As a Jays fan, not really a fan of going after Feliz. 38% GB rate(career 36%) with an elevated HR rate 2 of the past 3 years? Can’t see that fitting well in Toronto and the AL East. Feliz would be a really nice piece to add to the bullpen in San Diego, I think he could possibly supplant Maurer in the closers role. Maurer looked way better in the 7th inning two years ago behind Benoit & Kimbrel than he did in the 9th this year after Rodney was traded. A 7th/8th/9th of Maurer, Capps & Feliz would be pretty nice not to mention add Buchter & Hand to the equation and that has the makings of being a pretty elite unit. The team also has the 3rd pick in the rule 5 draft on Friday & could add another interesting arm to throw in the pen ala what they did with Perdomo last year. Interestingly enough another Perdomo, Angel the number 15 prospect of the Blue jays who pitched in the futures game in SD last year and is 6’8 is who I’m keeping my eye on Preller & company possibly selecting. Perdomo is certainly intriguing. He gets a very wide range of prospect rankings as I’ve seen him as high as top 10(pre-draft) and as low as out of the top 30(also pre-draft). I’ve seen him a few times and guy is huge but he has big guy issues, namely having difficulty repeating his delivery. Most also don’t see him stuff ever really playing up as a starter, most notably his breaking stuff grades out as being at best, potentially average. I know some Jays fans were pissed he wasn’t protected but he was just so far away from the Jays roster that theirs very little chance he’d have provided value in the near future. I fully expect him to be taken at the Rule 5. **most don’t see his stuff playing up as a starter. Angel Perdomo is 6’6″ and he really took a leap forward in terms of command and control of his FB this year and ended the season with 156 SO vs 54 BB in 25 starts/127 IP. His biggest problem was a lack of plus secondary pitches. He got stung pretty good on his slider. His changeup is a little better and may eventually develop into a MLB quality pitch. He wouldn’t be a bad pick for the Padres in the Rule V draft, although I would prefer to see us take Yonny Chirinos, Drew Muren and Ismael Guillon. Yeah I liked what I read up on Chirinos & Guillon, so I would be just as happy with either of those guys as I would be if we selected Angel Perdomo. As far as trade chips are considered, I think once Logan & Dunn & Blevins come off the board in free agency then the attention will draw the the two Padre lefties. A Solarte trade would get us a young arm to put in the rotation immediately plus some other intriguing prospects as well, that’s why the Dodgers make a lot of sense to me. Then you still have an extra outfielder whether it’s Dickerson or Jankowski to explore another trade for to even further bolster the rotation & possibly SS as well. I do think Preller brings in a couple old friends from Texas this offseason as well though in the aforementioned Neftali Feliz & Derek Holland, they both make sense and Holland could pitch at the top of the rotation with a chance to rebuild value on a 1 year deal and a chance to get paid next offseason if he revitalizes his career at Petco. Maurer had a better BAA, OBP against, OPS, and ERA in save situations in which he entered in the 9th inning in 2016 than he did in the 7th inning in 2014. He really only had one bad outing after he took over as the closer in July, that one on September 16th in Colorado. Yeah Maurer would probably remain the closer, though it’ll be interesting to see how Capps pitches once he comes back from TJ surgery. Other than Solarte, the only real valuable trade chips we have are Hand and Buchter. Don’t be surprised if one or both are traded. Why do the Padres even bother fielding a team? The Padres are the new Cubs. 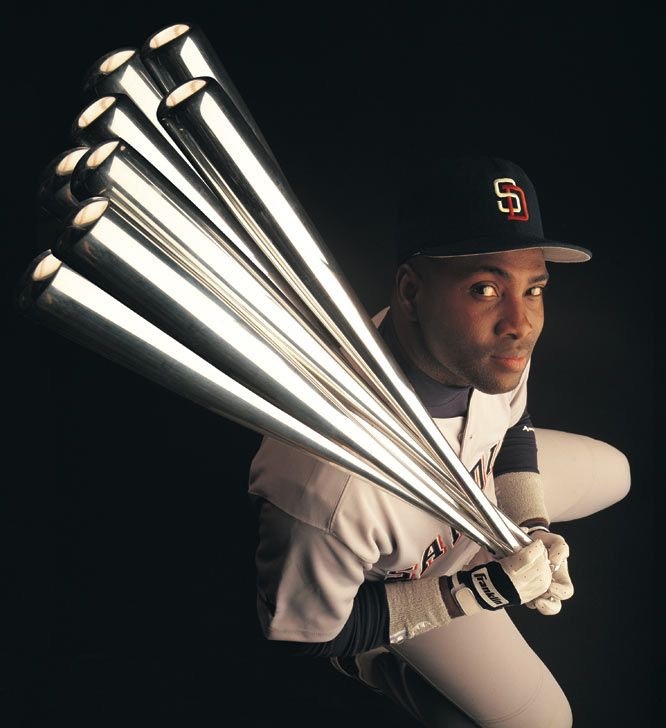 To be a Padre fan, you have to love the game for it’s own sake, without regard to wins and losses…because it feels like it could be 107 years before we win a World Series too. By new Cubs, you mean future dominance of division. Padres have the #1 farm imo and I don’t think it’s close. 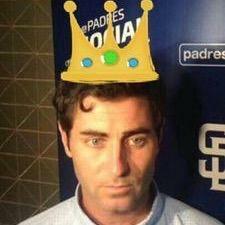 Always trading for prospects but this time Preller has set up wave after wave after wave soon to hit San Diego. 2017 wave led by Renfroe, Hedges and Margot. That’s three in-house upgrades from last year, nice start. Because people in San Diego like baseball, and true fans stick by their team through the highs and lows.